Consider using arnica in the week before your treatment and buy some arnica cream for your home recovery cream. 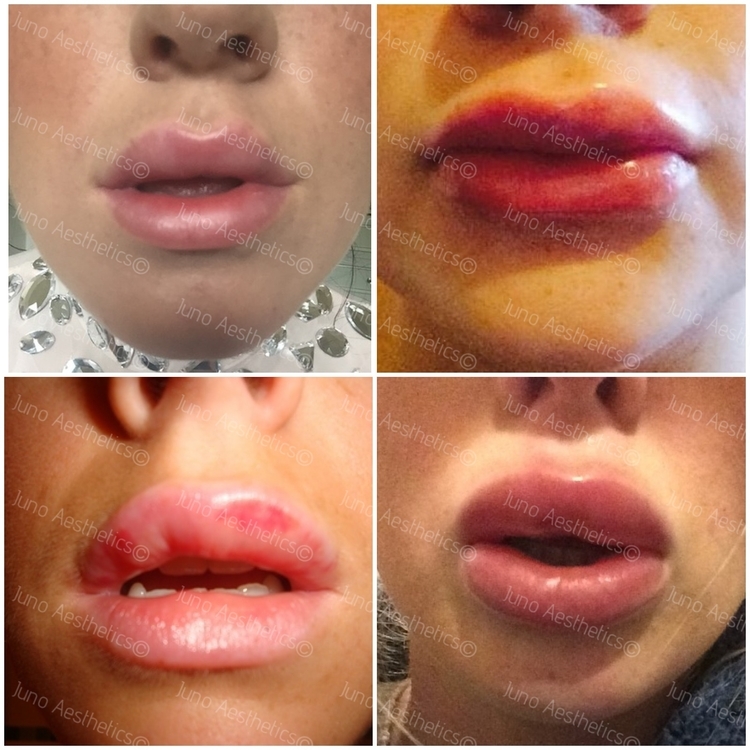 Do not rub or massage your lips if they are swollen or bruised. Use a cold compress on your lips for 15 minutes in every hour to reduce swelling. Every reputable medical professional is mindful of the risk of filler affecting the blood supply to the area treated and other regions of the face. The risk of this occurring is estimated to be 1 in 30,000. This is caused when the dermal filler is either injected into an artery or around an artery to the point that the blood flow is reduced or completely stopped. The area of skin or other tissues that are supplied by the affected vessel will start to die without the necessary blood supply.